Very Relaxing, Nice clean room - heating was great in the room, spa bath was lovely. Very comfortable and convenient, excellent and friendly service with good wi-fi. We would certainly stay again. As always, staff very professional. Very clean and comfortable. (upgrade extremely appreciated!) Will be back, again and again. Fantastic stayed here last year also. Will stay here any time we are in Melbourne. Really enjoyed our stay. The cosy dining room and reading corner made it feel very much like home and i really appreciated the all day coffee. The staff were very friendly and helpful. They also appeared to be very genuine. Great stay, great breakfast. Great there was a Tesla charger available to be booked for our car. Perfect.... AGAIN! 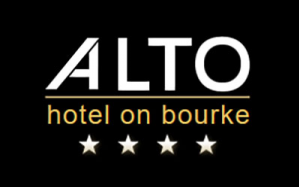 Always a pleasure to stay at Alto - everything about the stay is wonderful.. the staff, the comfortable rooms (and beds) and central location. There is nothing I can fault about this hotel. Being a boutique hotel, staff soon get to know the regulars and make me feel welcome every time. A very good experience - helpful and friendly staff. Comfortable room. Perfect location for what I wanted to do. Friendly and helpful staff, great location and Clean. Great hotel. Staff could not have been more gracious or helpful. The service I received at your establishment was TOP notch. They went above and beyond to ensure my stay was perfect. I accidentally dropped my favorite gold earring down the sink. The front desk made sure maintenance dismantled the sink and retrieved my earring early the next morning. There was also a kind message left where they hoped "my earring wasn't damaged" as if it wasn't my own fault for dropping it lol. I couldn't have been more pleased that it was returned to me. Additionally, I was working while away and my business server was having a hard time connecting to the hotel's internet. While witnessing my struggle, your front desk employees found an internet cafe for me to walk to. Turns out that my company had the hotel blocked (nothing was wrong with your internet), but again the service and help I received was really exemplary. I'm not very familiar with Melbourne but I appreciate how close to the bus station you were. I arrived late at night and appreciated being able to just walk a block. It did feel as if we were in a bit of a business area so if you were looking to roam the city and check out the town, not sure Alto would be the best bet, however for me getting out of the city on tours everyday the proximity to the train, trolley, and bus station was ideal. I wouldn't hesitate to stay here again and I enjoyed the laundry facilities on site. Good to always have reception staffed and your presence acknowledged. Apart from the hiccup with the coffee machine (soon to be replaced I understand) a comfortable stay as always.